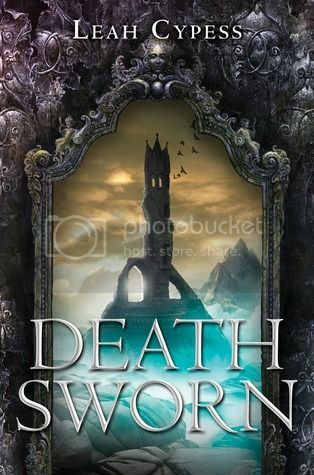 I was long overdue for a fantasy novel and Death Sworn hit just the ticket for me! Our main character, Ileni, is a sorceress who is close to losing her magic powers and has been sent to the caves of a mountain to teach a group of highly skilled assassins, knowing her two predecessors were both murdered and that her fate would most likely end with the same result. She finds herself surrounded by secrets, mystery, and danger as she works to uncover the truth while trying to stay alive. I think what I enjoyed most about this fantasy novel was all of the mystery. Ileni cannot trust anyone she encounters in the caves and in turn we the reader also feel wary of everyone. The danger level is severe as we meet these assassins who are highly trained and are willing to follow their master’s every word, even if the end result is their suicide. Ileni is incredibly jumpy and wracked with nerves as she tries to hide the fact that her magic is dwindling each day from those who can hurt her. Working through her fears was no easy task but she was also pretty good at putting up a front when need be. She knew why she was there and she didn’t deter from that, despite what it most likely meant for her own life.I liked that excitement of not knowing what to expect. Even when things felt a little slower in pace, I was anxious to keep reading because I just knew something would happen. The murder mystery was very well done and kept my mind constantly whirling with thoughts and theories and in the end, it surprised me! I also loved the dynamic between Ileni and the assassin who acts as her guide of sorts and swore to protect her, Sorin. The tension between the two was quite thick, but he stayed on task and was a man of his word with his orders. At least most of the time… He was so serious and deadly in demeanor but also protective. Finding cracks in that harsh exterior was some of my favorite moments and I could not help but root for these two to get together and loved the slow burn the path took. Beyond the caves lies an Empire, one the assassins are trying to help take down. We learn a bit about this but I remain a little unclear to all of the elements of the world building on the outside and how it all fits together in what looks to be a war brewing. But Death Sworn has left us with a great setup to explore that more in the next installment, which I am crazy excited to read. Ileni was just scratching the surface of her potential and I can’t wait to see what she does next, as well as what will happen with her and Sorin! However, I took a few detours along the way to becoming a full-time writer. After selling my first story (Temple of Stone) while in high school, I gave in to my mother’s importuning to be practical and majored in biology at Brooklyn College. I then went to Columbia Law School and practiced law for almost two years at Debevoise & Plimpton LLP, a large law firm in New York City. I kept writing and submitting in my spare time, and finally, a mere 15 years after my first short story acceptance, I am going to be a published novelist. I am very excited about this! I live in Brookline, Massachusetts (right outside of Boston) with my husband Aaron, a researcher and doctor at the Joslin Diabetes Center, and our two daughters. I had never heard of this book until a copy showed up at my house last week. Then I saw the magic word: ASSASSINS! I’m planning on reading this one this month and I’m excited for it! 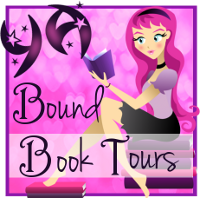 Nereyda @Mostly YA Book Obsessed recently posted…Audiobook Review: Cinder by Marissa Meyer! I’m glad to hear you enjoyed this! I have been on the fence about this one, but I think I’m going to give it a try, maybe when the next book comes out so I don’t have to wait. I’m thrilled to hear you enjoyed the romance between Ileni and Sorin. Lovely review! I haven’t read much fantasy, but this sounds interesting. I like that it has a good mystery; I’m quite fond of those! I’ve read many lukewarm reviews of this one, unfortunately, so I’m a bit put-off and not sure I really want to commit to reading to it yet. I’m going to start with Mistwood and see how that goes. If I love it, then I just may have to give Death Sworn a try. I’ve read mixed reviews about this one, but I think I’m going to give it a try. I love fantasy books and description of the plot and romance make me want to read it. Does it end in a cliffhanger, though? I’m so tired of those. Great review! Like Lauren, I was on the fence about this as I’m not a big fantasy reader. But I’ve heard good things about this author’s prior books. I want to try this when I have a chance! Great review! Glad you enjoyed this one. I don’t think it’s for me though, because I’m not into fantasy that much. I just heard about Death Sworn recently, but it looks pretty good! 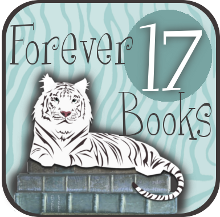 I have seen some mixed reviews here and there, but I’ve added it to my TBR list. Thanks for sharing your thoughts!